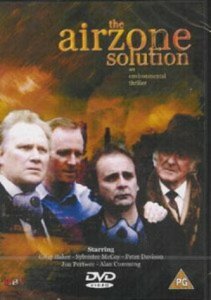 The Airzone Solution is a sort of Doctor Who homage, and indeed features four actors who played Doctor Who in the cast. It was made in those wilderness years betweenDoctor Who series on the BBC, and I became involved with it via my friend Bill Baggs who directed it and who was an AD on The Last Romantics. We shot it in Nottingham, and I liked being a baddy.